I was invited as a guest (although not GoH) and I don’t want to criticize Polcon 2017 too much. That is why I will omit all of the mistakes that were made (and unfortunately their number was high). Instead, I will concentrate on the aspects that either I was involved in or that were prepared nicely. I need to make one exception, though – the opening ceremony was a disaster I simply cannot skip. The ceremony was held in a relatively small room and I wasn’t sure that everyone interested would be able to get in. Fortunately (or maybe not…) most/all of the people were able to find their seats. The beginning wasn’t very bad – a woman came to the stage and sang a song. It was not related to SF/F but it was relatively ok. Unfortunately, the same cannot be said about the next performance. 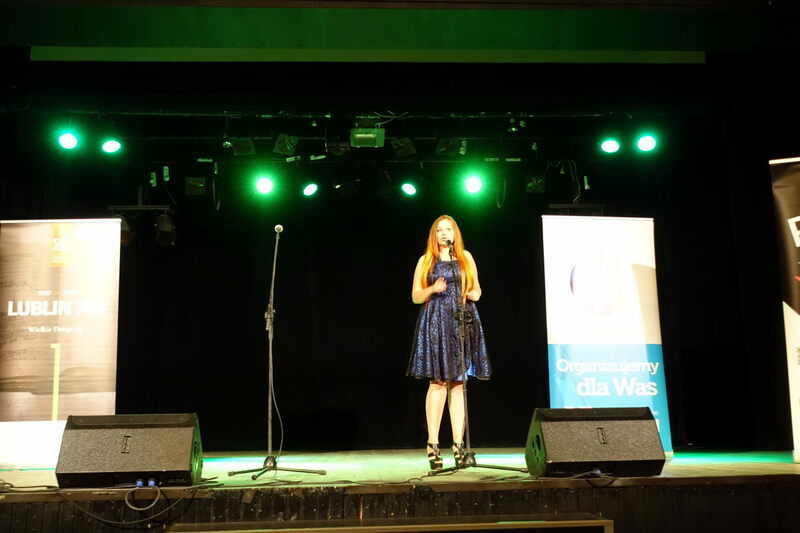 A local cabaret was invited to participate in the opening ceremony. They started with three songs, followed by the speech of the chair of concom. 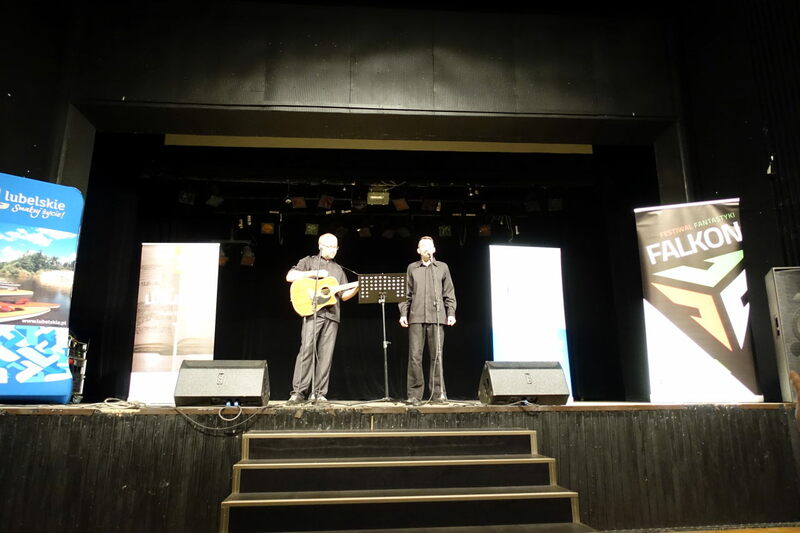 Later, they sang another three songs, which were followed by the speech given by the Head of the Programme Division. When I saw the cabaret entering the stage again, I decided to leave the room. Why? Well, their repertoire was sexist, homophobic and simply of bad quality (depending on the song). I felt really ashamed but as a guest, I believed I should stay untill the end of the ceremony. Still, after six songs, it became too much and I left. I hate saying this but the only good aspect of the ceremony was that people were leaving it. I really believe that you shouldn’t be showing disrespect to artists/panelists/speakers, but there are those rare occasions when I find this justified – and this was one of those. I don’t know whether organizers didn’t know repertoire of this cabaret prior to inviting them or whether they liked it. Either way, this was a huge mistake. I know for sure that the cabaret was not expressing the opinions of everyone involved in the organization and I hope it was just a mistake made by one person. Here I will finish my rant and will go into more pleasant aspects of the convention weekend. 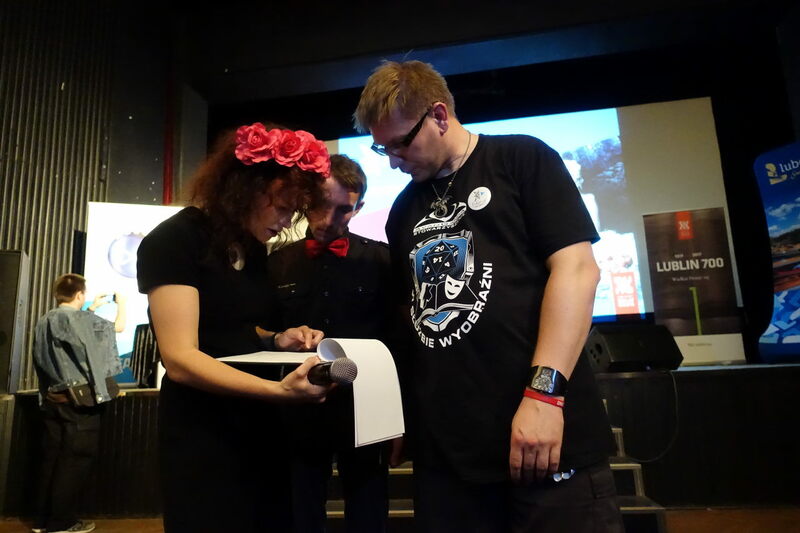 In Poland, there is not enough discussions about fandom and its history. This topic is usually not an important part of the programme. Therefore, new generations of fans often forget about the traditions and the beginnings of fandom. Considering this, I am really happy that Polcon 2017 decided to have separate programme track devoted to fandom. A large part of the discussions was dedicated to conrunning, but there were also other types of items. On top of that, there was a small exhibition presenting the history of Polcons from the1980s untill last year. I do hope that this idea will be repeated in the future and that at least on Polcons we will have a fandom programme track and some history exhibitions. Polcon history exhibition. 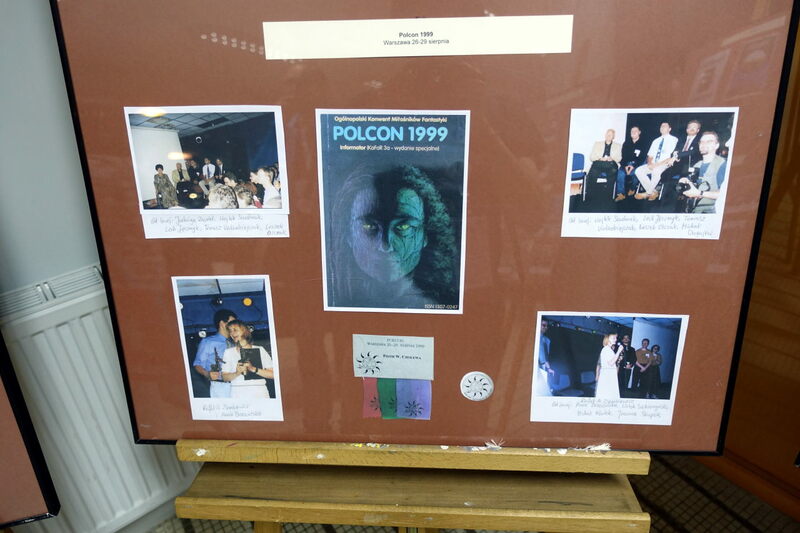 One can see Programme book from from Polcon in 1999 as well as a con badge and four pictures from the convention. Traditionally there are two “SMOF” meetings during Polcon. The first one is the Council of Fandom. Polcon and Janusz A. Zajdel Award as brands are owned by Zwiazek Stowarzyszen Fandom Polski (Polish Fandom Federation of Associations). And the Council of Fandom is the meeting of the associations’ representatives. Of course it is open to anyone, but only representatives may vote. The second SMOF meeting is called the Fandom Forum where anyone may vote and which in fact has more power (as the Council of Fandom in my opinion serves more administrative purpose). 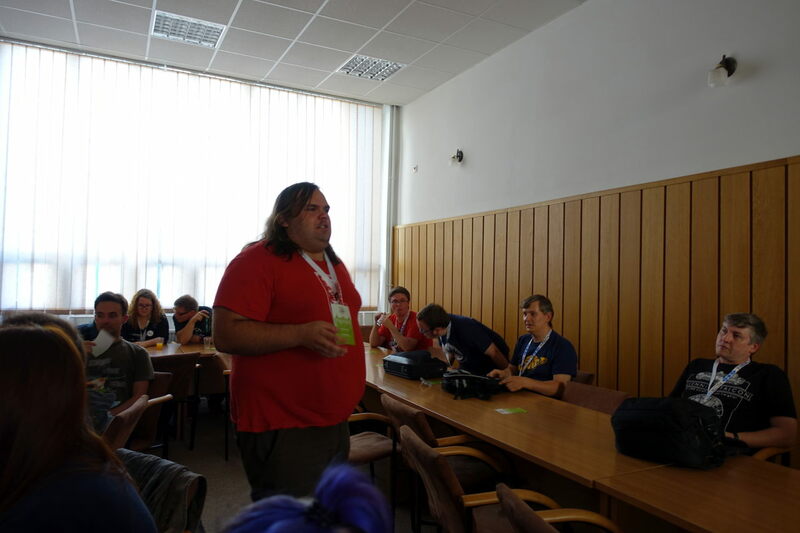 At the Fandom Forum, there was a vote on where Polcon 2019 will be held (only one city applied – Bialystok), and a presentation of the upcoming Polcon 2018 (in Torun) was held, including a vote of approval for next year’s GoHs. Also during this meeting, we voted about changes to Janusz A. Zajdel award rules (electronic voting was approved for supporting members). This year, we chose a new board for Zwiazek Stowarzyszen Fandom Polski and two of my closest fandom coworkers were chosen. So I want to congratulate to both Toudi and Lierre as well as all other members of the board. For some reason, Polcon 2017 was very exhausting. It was not the lack of sleep (as I got almost sufficient amount of it) so it was either the amount of duties or the weather. It is quite possible that it was the first option. 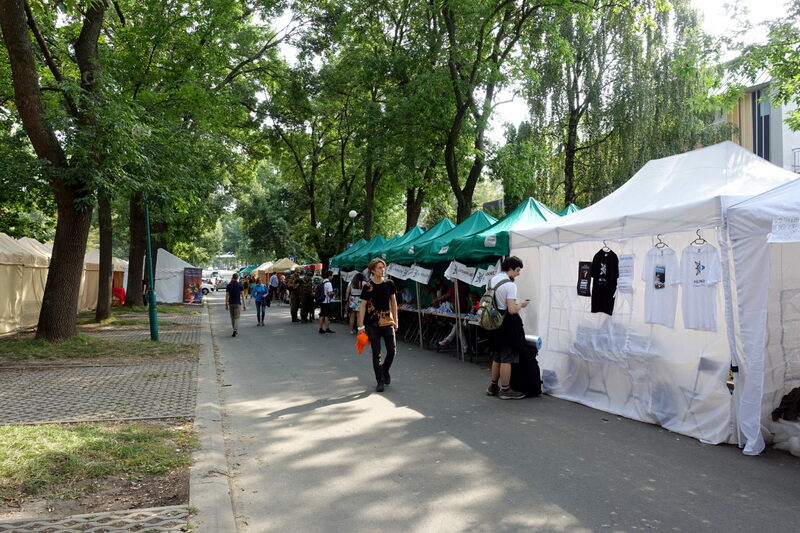 I arrived in Lublin on Thursday afternoon and on Friday I had one programme item and then had to spend four hours at our fanzine (Smokopolitan) fantable. Saturday was like a marathon to me. At 11:00 I had to moderate a penel, then the Fandom Forum lasted for three hours, then I moderated two more panels. 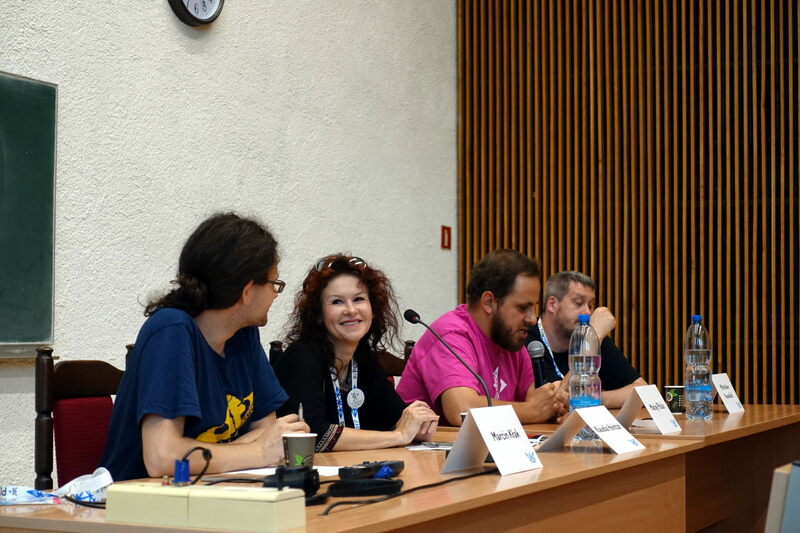 Here I had one-hour break for lunch (at 17:00) and after it I gave a 2-hour-long Worldcon presentation. 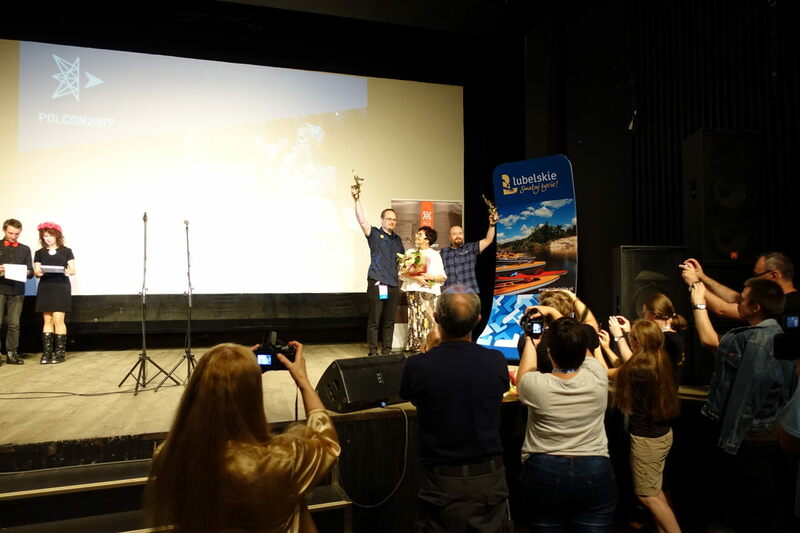 In the evening, the Janusz A. Zajdel award ceremony was held. So at the end of a day I was dying, but thanks to excellent hazelnut ice-cream I managed to survive and even go to a pub for some time. I was very honoured when I was invited as a guest. It was a new experience for me and apart from being happy I was also a little bit afraid. Will I mange? Do I deserve this honour? What will I have to do as a guest? It came out it was a nice experience. Of course I was really exhausted but also I was happy to participate so actively in the programme. I only hope that both concom and Polcon members were satisfied with me being a guest and that it was not a disappointment. Morning in the dealers area. Dealers,as well as the registration, were located in tents outside of the convention buildings. So how good was this Polcon? The sad truth is that it was not very good. A lot of mistakes were made and the beginning of the convention was a mess. Still, a lot of good things happened and we shouldn’t forget those. I do hope that next year Polcon will be organized in a better way and will also take those good things as examples of what can be done. I also need to say that despite all the bad stuff I really enjoyed this convention. I was happy to participate in the programme so actively and although I didn’t manage to attend any programme items apart from those I was involved in (plus opening ceremony, Janusz A. Zajdel award ceremony and “SMOF” meetings). Still, I did found some time to hang around with my friends and talk about everything we care about. So although Polcon 2017 was not as good as Polcon deserves to be, it was still possible to make it fun. 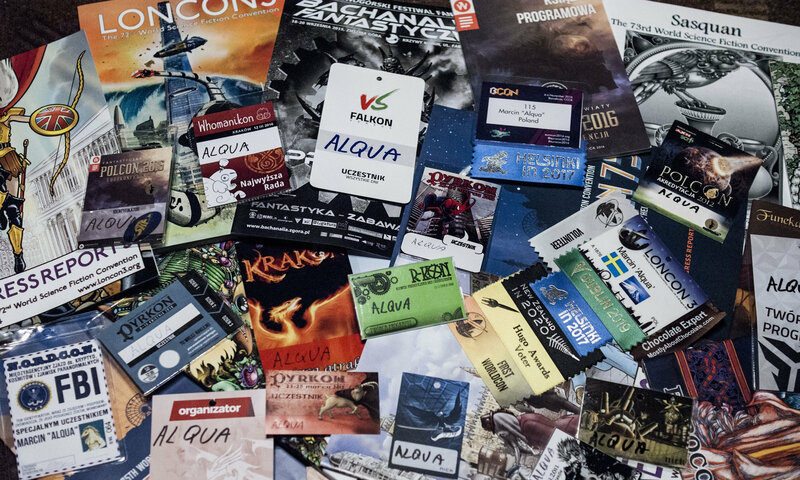 In my next post I will come back to the topic of Worldcon 75 (check part 1 and part 2 of my report) and more precisely to my involvement in Hugo Awards Ceremony. Post should appear here on 13th September.